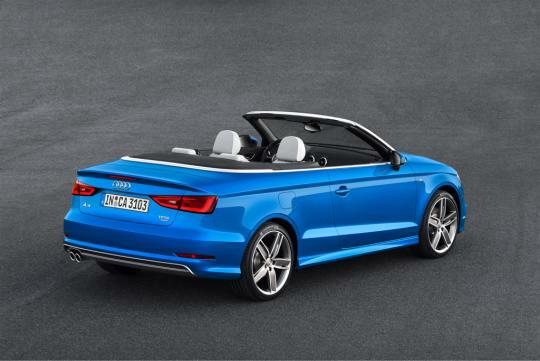 Based on the all new Audi A3 sedan, the Audi A3 Cabriolet makes its public debut at the 2013 Frankfurt Motor Show. The car has grown from the preceding model, from 4,240mm to 4,420mm in length, with the wheelbase increased to 2,600mm. It also sits wider at 1,790mm, but stands shorter at 1,410mm. Additionally cargo load has increased by 60 litres to 287 litres. 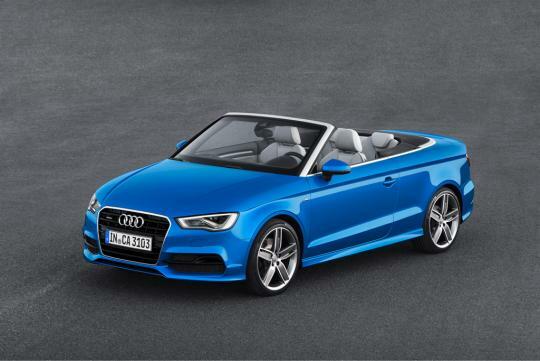 The A3 Cabriolet is around 50kg lighter than the previous model with a kerb weight of just over 1.3 tonnes. 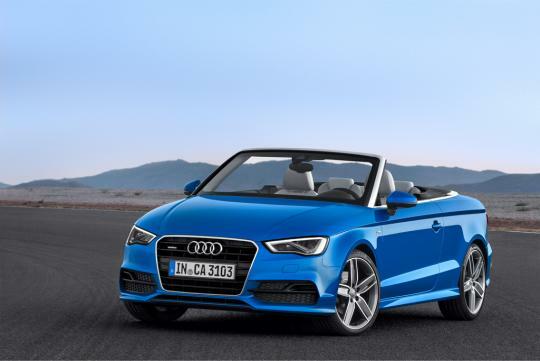 Like the saloon, the face of the Audi A3 Cabriolet is characterised by the single frame radiator grille, which is flanked by flat headlamp housings with either halogen or xenon bulbs. The headlamp clusters are highlighted by the signature monolithic daytime running lights � with a sharp harpoon-like design. The soft fabric roof is stretched over a lightweight kinematic mechanism made of magnesium steel alloy, complementing the car's aesthetics. The fabric top can be folded or extended in less than 18 seconds at speeds of up to 49km/h. The interior is neat, flush and clean with minimal decorations or 'bling' to distract the driver from the driving experience. We are glad Audi hasn't replaced every single knob and switch with a touchscreen interface (yet) or created a smartphone app for it. We are particularly fond of the two large central air con vents, which remind us of the propelling nozzles of fighter jets like F-15 or Migs. In the cabin the instrument panel is lean and low, while the electrically retractable 5.8-inch colour monitor complements the Driver's Information System with efficiency and rest recommendation assistants, and offering control options for the air conditioning system. The engine ignition button is placed a little low though. The steering wheel and seats sport new designs while the handbrake is now replaced by a button operated electro-mechanical version. 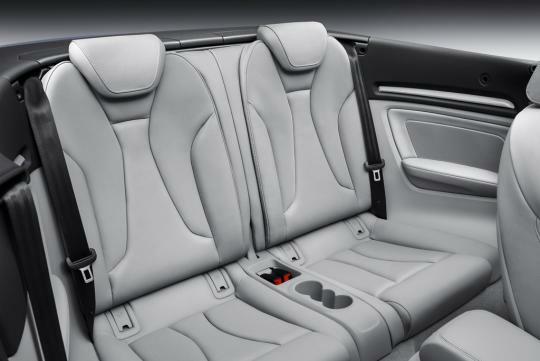 Depending on trim level, seats are finished in either cloth or a combination of cloth and leather. Optional full leather and an alcantara/leather mix are also available. Attractive infotainment components include a Bang & Olufsen sound system � something that we will check on the options list to blast our songs - and MMI Navigation plus. 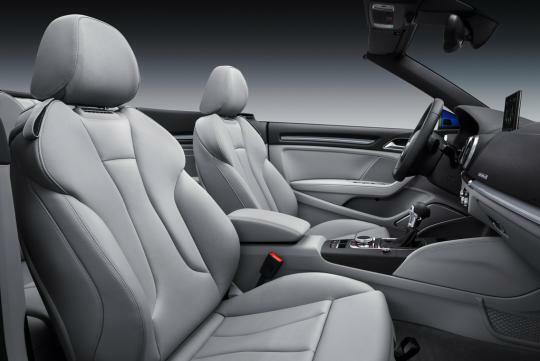 Also available is Audi connect, which allows occupants to connect to the Internet, whenever possible, via 4G/LTE. 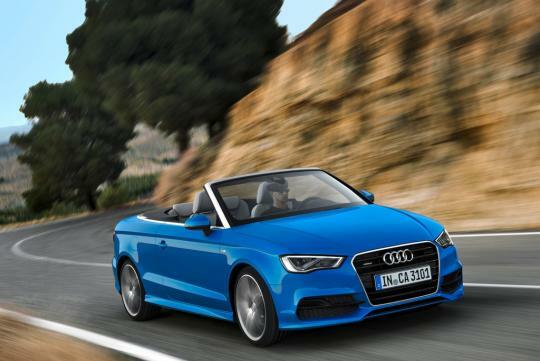 Three newly developed drivetrains will be offered in the A3 Cabriolet. There are two petrol TFSI options - 138bhp and 177bhp respectively from 1.4-litre and 1.8-litre unit, while a 2.0-litre TDI unit develops 147bhp. Other power units include a 1.6-litre TDI with 108bhp and 2.0-litre TFSI, which will be under the hood of the S3 Cabriolet, capable of 295bhp. All engines employ turbocharging and start-stop systems. 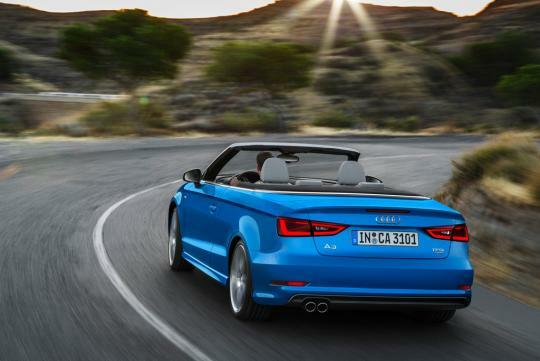 By the time the car arrives onto our sunny tropics, the cabriolet range � sans the 108bhp capable 1.6-litre TDI � will fall under Category B, no thanks to the revised criteria for COE banding. The 1.4-litre TFSI, with a six-speed manual transmission, powers the new car to 100km/h in 9.1 seconds despite returning 24km/L and emitting CO2 emission of 114g/km. Also contributing to the efficiency is Audi's Cylinder On Demand (COD) technology, which deactivates two of the engine cylinders in low load conditions.